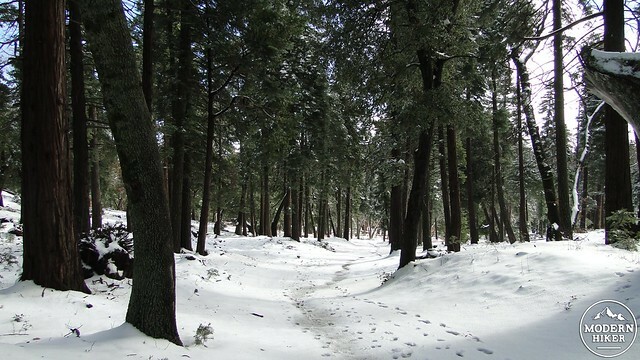 The Thunder Spring and Chimney Flat Loop is the second of a trio of short hikes within Palomar Mountain State Park. Each of these loops is included in a larger and more comprehensive loop through the park. However, since not everybody is keen on a nearly 9 mile loop, these smaller loops offer a more digestible “taste” of the park while visiting a handful of notable landmarks. 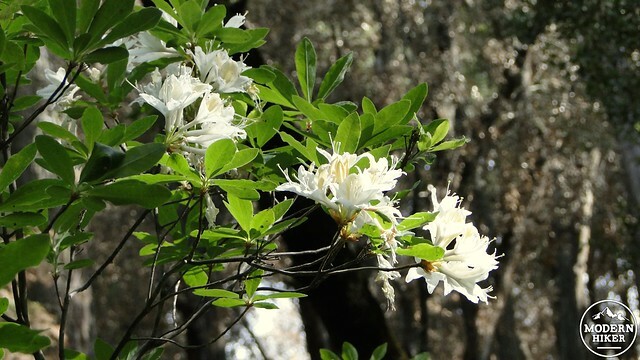 The Thunder Spring and Chimney Flat loop travels along the western edge of Upper Doane Valley before climbing up a dense ravine featuring rare Pacific dogwoods and Western azaleas before emerging upon the fern-bedecked meadow known as Chimney Flat. 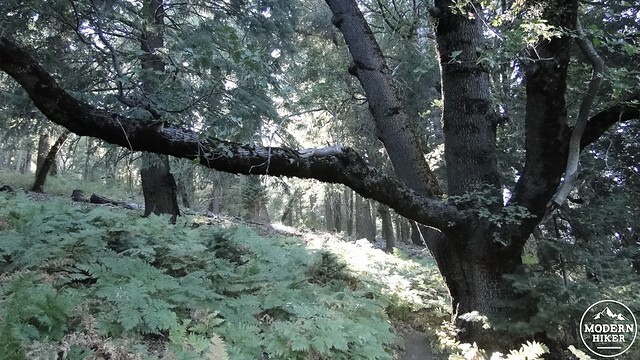 The trail then continues along Thunder Ridge, where it passes through dense forest before emerging upon a meadow that also contains an ancient apple orchard that still produces fruit. Finally, the trail passes the site of Scotts Cabin and before dropping back to Doane Pond via the steep and poison oak-strewn Cedar Trail. Beginning at the Doane Pond parking lot, follow the access trail to Doane Pond and make a right to cross over the bridge to loop around the banks of the pond, which is a popular destination with fishermen and picnickers. 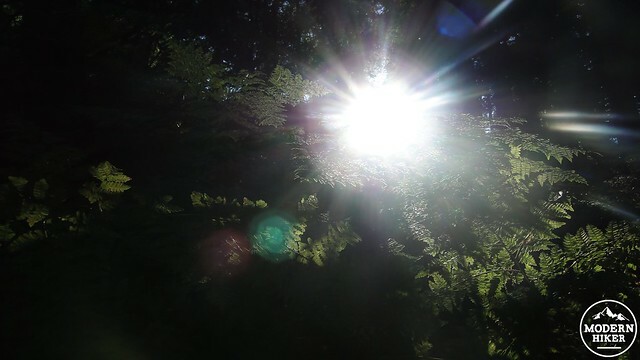 Continue past the pond to enter a woodland of black oak, canyon live oak, white fir, incense cedar, and alders with a lush understory of ferns as you travel along the west bank of Doane Creek. The numerous black oaks along this trail provide an excellent opportunity for viewing fall foliage during November when the tree’s leaves turn a brilliant gold. 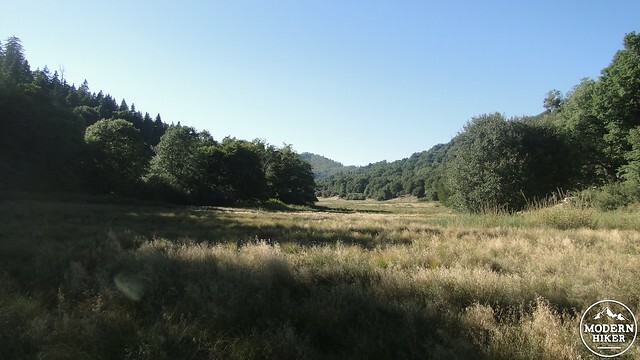 The trail will pass into and then out of the forest to enter a narrow meadow. To the left, Doane Creek will trickle along quietly beneath the shade of white alders. Doane Creek is partially fed by nearby Thunder Spring, which you will reach shortly. The spring does not get its name from any noise it produces due to its copious volume. In fact, the spring rarely gushes unless there has been heavy rain. The name comes from the ridge below which the spring lies. Thunder Ridge, which you will travel along on the latter half of the hike, is a hot spot for summer thunderstorms. After crossing the spring, the trail will continue past a patch of burnt forest that is recovering from a September 2012 fire. The fire, which was caused by lightning strikes, burnt up some of the smaller conifers, while sparing the taller trees. 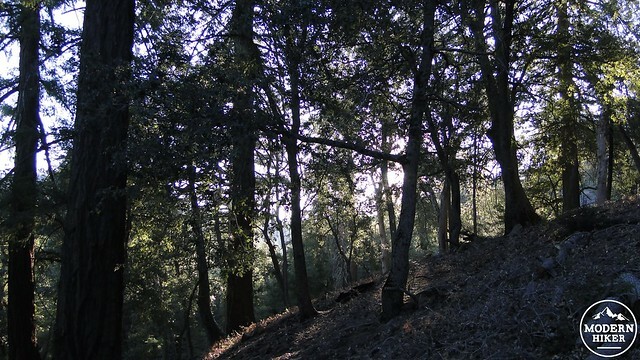 The oaks here will recover quickly, as California oaks are well-adapted to occasional wildfires. The poison oak and ferns along the banks of the hill below the trees are recovering nicely. Just past this burn zone, the tree will reach a junction with a trail branching off to the left to cross Doane Meadow. Continue straight to plunge into a densely-forested ravine. 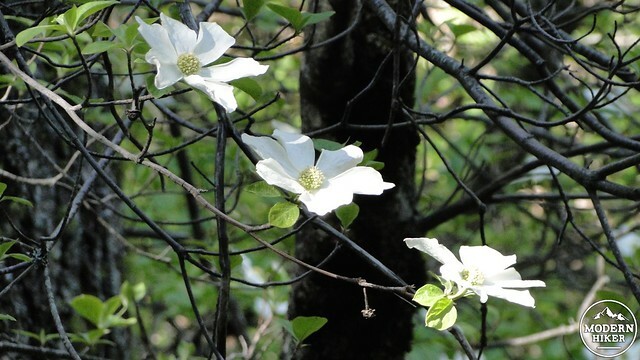 If you come during May and early June, you will see beautiful examples of Pacific dogwood trees and Western azaleas, which both produce showy blooms. Both of these plants are more commonly found in the much wetter Sierra Nevada mountains. They are extremely rare in San Diego County. The trail will cross the bottom of the ravine and then make a quick switchback around the edge of a ridge before continuing along the east bank of the creek. 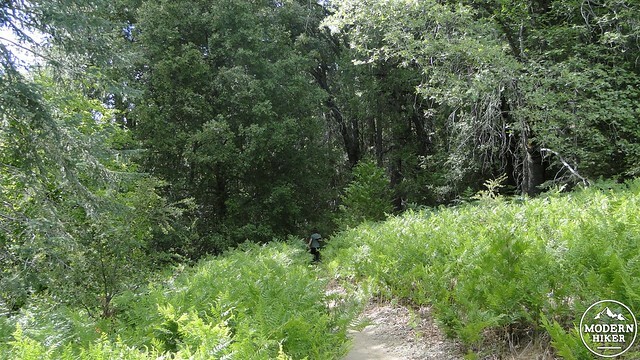 You will need to keep your eyes peeled for growths of poison oak along the infrequently maintained trail. If you know what to look for and make your way carefully, you will be alright, but hiking in a rushed and careless fashion could lead to an unpleasant encounter. 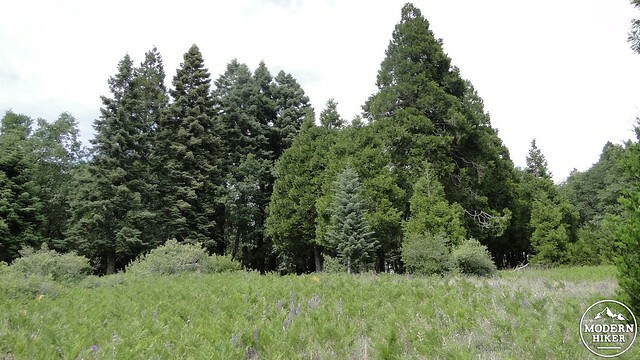 After passing more dogwoods and a thicket of azaleas mixed into a dense growth of baby cedar trees, the trail will emerge on an open, sunny meadow carpeted in ferns and rimed by firs and black oaks. This is Chimney Flat, which you will pass through before continuing the climb up Thunder Ridge. 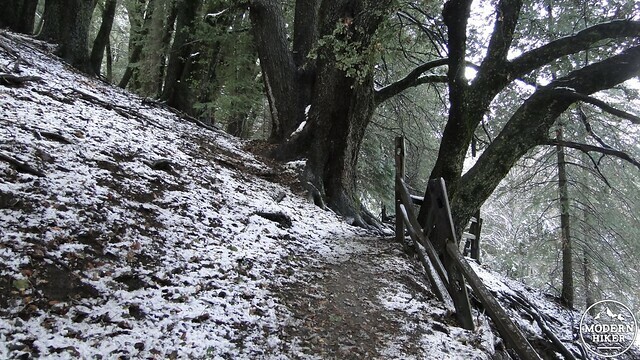 The trail joins an old fire road and begins a steady, moderate climb through some of the densest forest in the park. You’ll cross along the top of the burn zone while enjoying more golden-leaved black oaks. 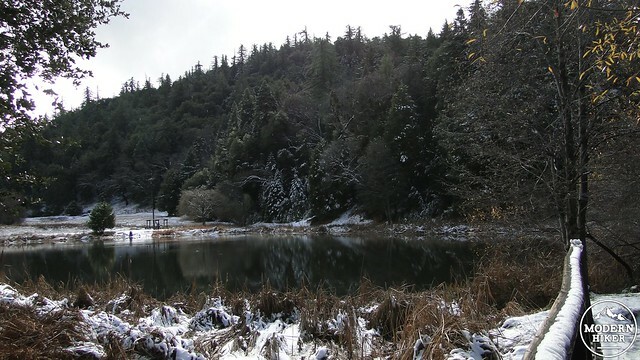 When the trail commences its climb, it will merge onto a paved road that connects to State Park Road and the nearby Silvercrest Trail. Another junction will bend right to go to a private residence. Shoot for the middle of the junction to find the trail that leads to the Scotts Cabin site and the return trail back to your car. As you enter this new trail, you will pass through a woodland of solitary firs and cedars that is also the home to an ancient apple orchard planted over 100 years ago, possibly by the same homesteader who built Scotts Cabin. As you continue through this pleasant patchwork forest through snatches of fern-bedecked meadow, you may pass close enough to the apple trees to see the fruit growing, which ripens in late September and early October. As this is a State Park, you are not supposed to pick the fruit as they belong to historically significant plants. They do make quite a tempting treat, but you are better off spending a day in Julian to get an idea of what the apples here are like. 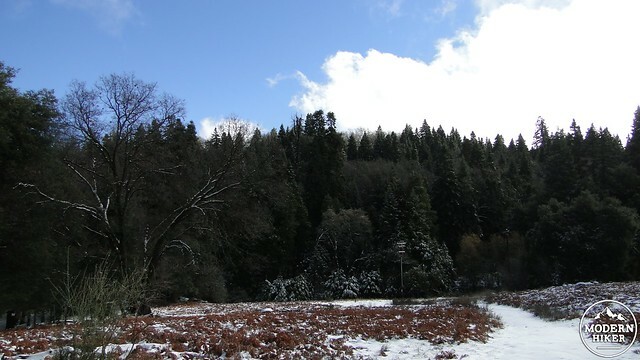 The trail will soon return to the forest before passing over a ridge that will mark the high point of the trail. 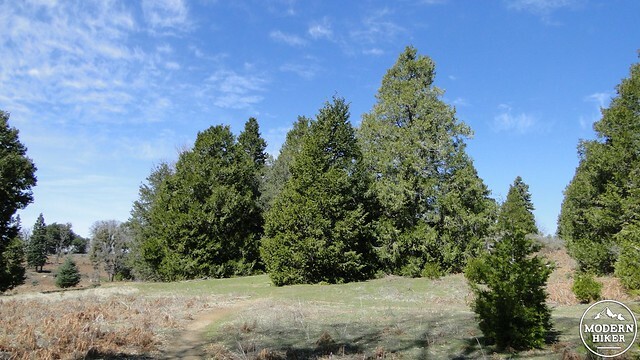 From here, the trail will begin to descend through an increasingly sparse forest, past the foundation of Scotts Cabin, past a spur trail connecting the Scotts Cabin Trail to the Silvercrest Parking lot, and along a wooded ridge until joining with the aforementioned Cedar Trail. 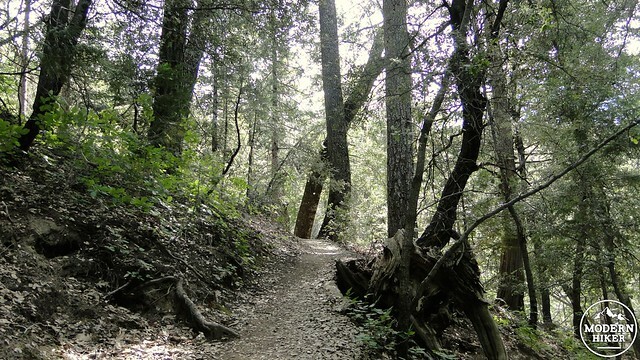 The Cedar Trail, as mentioned before, is plagued by thick growths of poison oak that, while intrusive, are easy enough to avoid if you step lightly and carefully. This segment of trail can also be extremely steep, as you are now descending from the top of Thunder Ridge to Doane Pond about 800′ below. Walk carefully through the moderately wooded slope until you pass a ravine containing a seasonal stream and more thickets of Western azalea before eventually emerging at the banks of Doane Pond near your starting point. Turn left when the trail dead-ends at Doane Pond to cross over the bridge and return to the parking lot, where your automobile awaits you. The trail is in good condition and easy to follow. There's a lot of poison oak in the ravine after Thunder Spring and on the Cedar Trail back to the pond. The closest campground is adjacent to the pond at Doane Valley Family Campground. From San Diego, take I-15 North and exit at Highway 76. Follow 76 east until reaching South Grade Road (Highway S6). Turn left onto Canfield Road and then again onto State Park Road. Follow State Park Road to the park entrance, pay the $8 fee (at time of writing), and turn right onto Doane Valley Road. Park in the day use area near the pond. I'm so glad you had a great experience on the Thunder Spring loop. If you'd like to up the wildlife viewing quotient, I suggest you try this route either very early in the morning or in the evening hours before sunset. Those are the times I've seen the most wildlife. 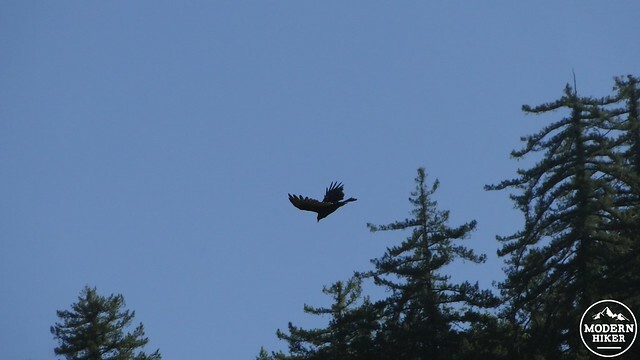 The Boucher Hill route is also great for wildlife, but I'll suggest you also consider checking out Lower Doane Valley/Doane Valley Nature Trail. I have seen herds of deer 30 strong on that trail. They also have a rare species of banana slug living along the creek near and old stone gauging station. This is the only place in SoCal that has banana slugs to my knowledge. Amazing place. Scott, Thank you for the write-up on this trail. Immediately after reading this I hopped in my vehicle and headed out. This hike was AMAZING. It wasn't difficult by any stretch, but the scenery & trails were excellent. 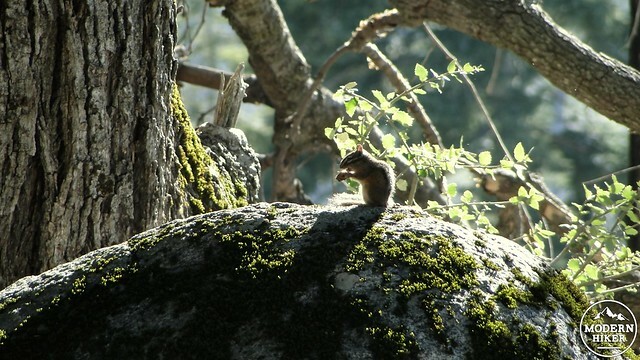 I saw so much wildlife I told my husband that I felt like Snow White. I saw a wild turkey, a pack of mule deer, a ton of squirrels, rabbits and ground hogs too. Then to top it all off I saw a beautiful blue jay as I was exiting by the pond. I was by myself on this hike, but I could not stop smiling. I am taking my husband back today. I think that we will do this one and the Boucher loop.